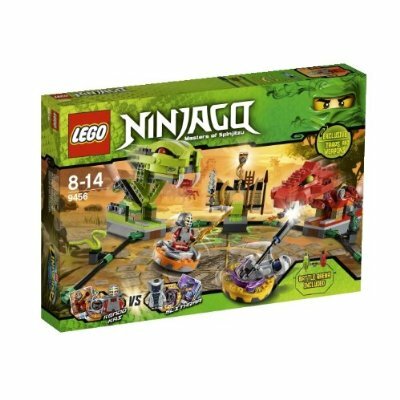 new 2012 ninjago set pictures! LegoBoyProductions Customs Figures Printing FAKE?!?!?! Recently a good friend of mine had released a little picture showcasing a very interesting topic, is David AkA LegoBoy12345678 Customs Figures his own, or Fakes by CaC (CloneArmyCustoms). This is the folowing statement made by First Rate Customs/HDStudios Himself on the matter. "As seen, the arms on Legoboy Productions™ Star Corps "Premium" Customs, are a DECAL, not printing as marketed. You can see a comparison of CACs arm printing, Brickarms's arm printing, and his arm "printing". He claims they are done with the same printer as Brickarms uses, however if they are, you can see that it is impossible to have that side arm printing. It would take multiple runs in a Inkjet solvent flatbed printer to do that (And David if you are reading this, don't think I'm stupid. I have done lots of research on getting 3D pieces printed on) and making it line up perfectly which is what is shown here is almost impossible. And, he says that CAC doesn't print them-look at the top of the foot printing on CAC's Boost and the Commander Trauma-They look exactly the same but different colors. Lastly, the arm on Trauma is a different color from the rest- Why? David says it's because it is a "Prototype", but even if it were it would be the same color. Because since it's a decal it's done in a different printer that prints the decal that color, as with in CAC's printer the lime green is as close as it can get. Lastly, on the pic with the 2 arms you can see the reflection off right where the decal is which is a sign of sealant." David has yet to have any concern or reply on this matter! if you would like to join the discussion Click Here. Hello and today we have some good news figures out Lego has found a limited supply of Shadow ARF Trooper's. 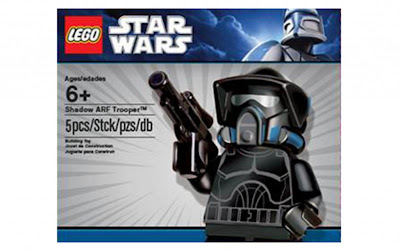 How it works is when you spend 99$ or more on Lego Star Wars with free shipping all you do is enter this code (note only available in Canada or Us) BS11 (US) / BS12 (CA). 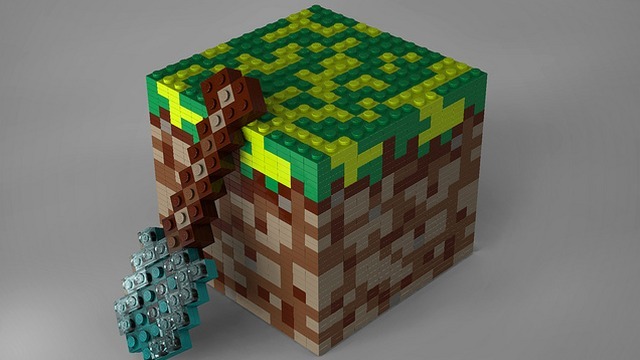 So if you did not get it in May or if you want more enter that code at checkout and you will get it thank you groove bricks for the photo. Hello everybody. Today we have a closer look at the new Ninjago minifig's. 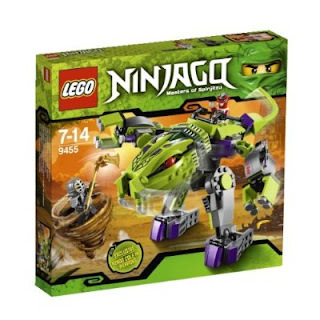 Ninjago is getting weirder and weirder. But maybe in a good way will see soon. Thank you Bricktuts for the photo's. see ya bye bye.